Introducing the PCI-E Riser Card Sets for Mining! Riser Cards from First Cable Line, Inc. are your perfect solution for mining rigs. 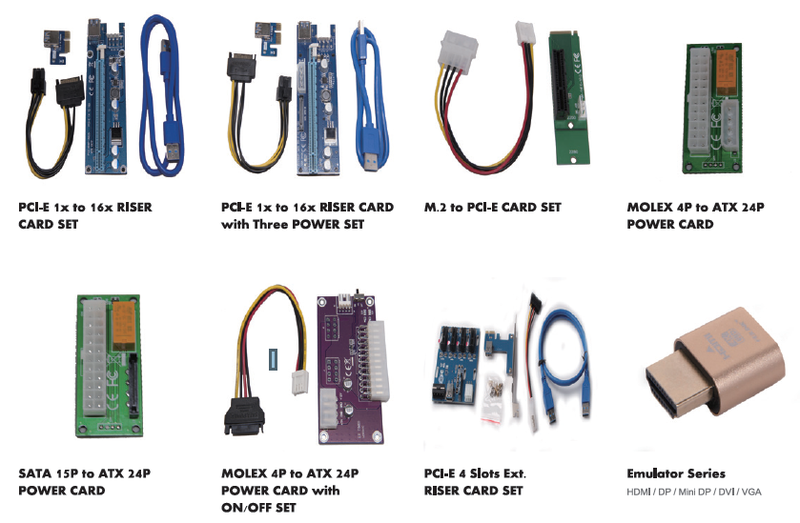 Our riser card sets include different power options including PCI-E 1x to 16x, 15 pin SATA, 4 pin MOLEX and more. Our risers are made of the highest quality components and include full-service expert and support. BOOST YOUR MINING PERFORMANCE! – Discover the perfect solution for turbo-charging your mining rigs with our durable and cutting-edge riser card!